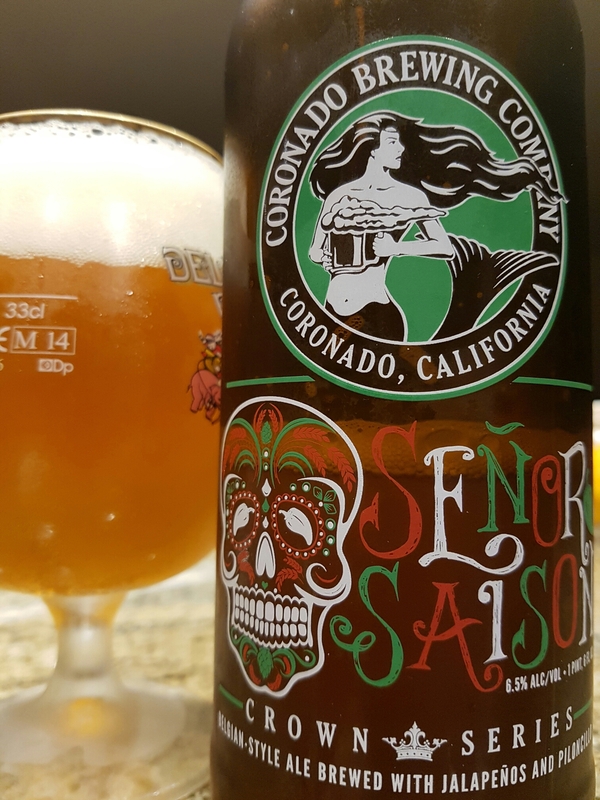 Señor Saison – Coronado Brewing Co. (Coronado, CA, USA) | Justintoxicated. 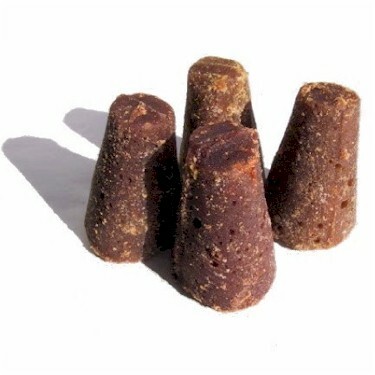 -In case you’re like me and wondering what is piloncillo, it’s unrefined cane sugar packed into a cone shape. Visual: Pours amber orange with a large creamy head, half sticky lacing, a foamy layer of retention with clusters upon clusters of fast activity. Finish: very subtle jalapeño heat, banana wheat malt grainy exhale. Conclusion: Too much CO2 in there combined with the citrusy wheat malt makes it unbalanced and leaves you feeling bloated. 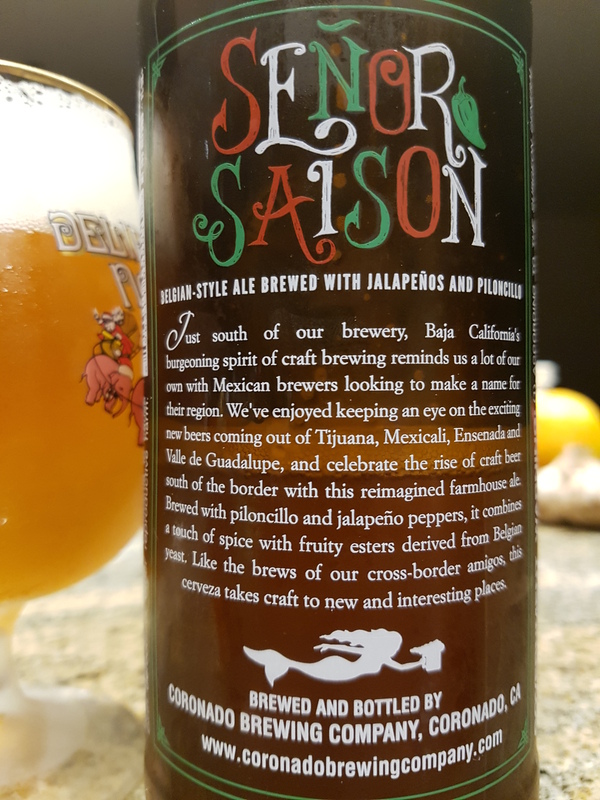 Jalapeno flavour plays a subservient role to the prominent banana-clove profile, I didn’t find this brew particularly enticing. A small notch above average.